MUSH on to a Great School Year!! Since my school year has officially begun, (I have been at inservice training the past two days), I wanted to take a minute to tell you about my plans for the year and the blog, and let you know some ways that you can join me on this amazing journey by dogsled! One of the things that has always intrigued me about the Iditarod are the stories. Everyone has a story to tell about their involvement in the race, and I could sit and listen to those stories for hours and hours and hours. As an educator, I know the things that draw my kids in the most are stories. Any time that I can begin a lesson with, “Hey! Do you want to hear a story?” or “I have a story that goes with that,” I immediately have their attention. Several years ago, I had the opportunity to attend a week long seminar with Lucy Calkins and the Reading and Writing Project at Columbia University. Her work in getting students interested in writing by encouraging them to record and value their own stories had a huge impact on my teaching of writing. 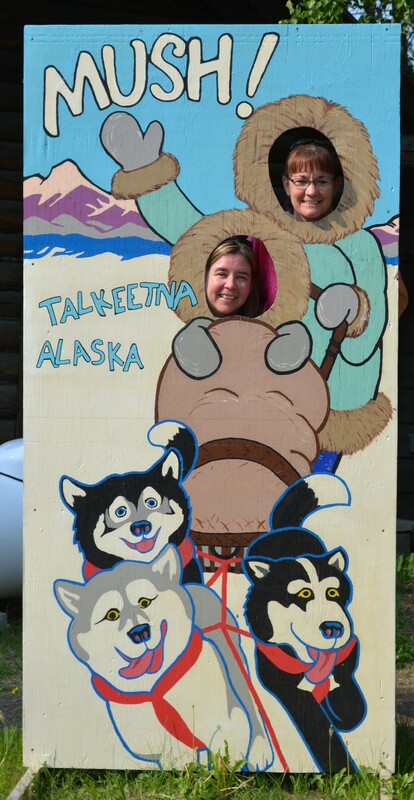 And so… my theme for my year as ExxonMobil Iditarod Teacher on the Trail™ is going to be “Tales (and Tails) from the Trail.” My goal is two-fold. First, I hope to present to you lessons that are prefaced with a story to help get your kids intrigued. So, when I give you a lesson about the Iditarod Trail as a mail route, the lesson will begin with a story about Joe Redington and why the mushers carry trail mail. When I present a lesson about the Alaska Gold Rush and how it ties to the trail, the lesson will begin with a story about miners picking gold off the beaches of Nome. Secondly, I’m trying to gather as many Trail stories as I can to share with you. There is a link at the top of the page where I am collecting stories from mushers, volunteers, and others. My plan is to use some of these stories in my Writing Workshop mini-lessons, and I hope you can find a use for them also! You may notice that there is also a link for Student Stories! This is where you come in! I hope that as your students do some writing about the Iditarod, they will share it with me to be published here! They could write stories, poems, plays… anything. I’d love to read it all and publish as much of it as I can. There is a link at the left to email them to me. Another great way to keep in touch with me is via Skype. I’d love to talk with you and your class either before and/or during the race as much as I possibly can. You can email me for details about that also. Along the way, we are going to be meeting, hearing stories from, and following a rookie musher as she begins her training and also a former handler for a high-profile racer. I will be sharing lots of math lessons (the Iditarod IS my math curriculum from January to April) and showing lots of other ways the race is embedded in my classroom. Once February and March roll around, I will be bringing your the race directly from Alaska (how cool is that!?!?)! I’m looking forward to jumping on the sled with you…. please let me know if there is anything I can do to help you with your journey down the trail.